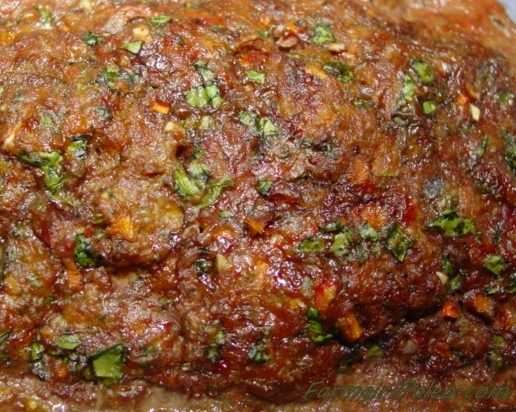 I have been asked for a Paleo version of my original homemade meatloaf. I didn’t have one, so I came up with one. Here it is! Homemade “Farmhouse Paleo Meatloaf,” all these ingredients can be found on your local farm or homestead. Grain-free, delicious! I love it! 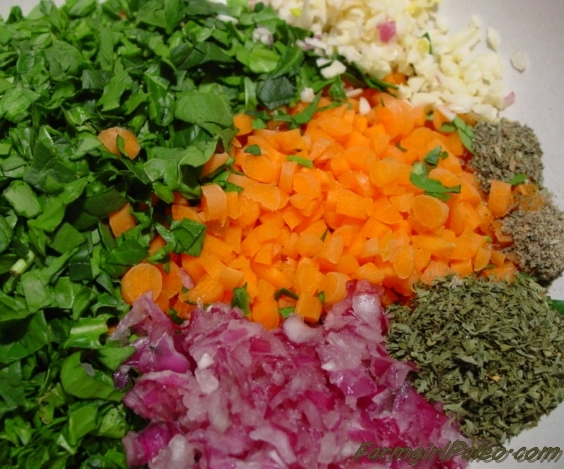 In a large mixing bowl, combine all ingredients. Using your hands, work the ingredients together. I wash my hands well before and after digging in. My kids enjoy squishing the meat. Place meat mixture in a loaf pan or, my personal favorite, a 10-inch iron skillet. Bake at 350 degrees F for 60 to 80 minutes (depending on your oven and the pan you use). I use a meat thermometer to be sure it reaches 170 degrees internal temperature. Paleo Meatloaf CookedI have been asked for a Paleo version of my original homemade meatloaf. I didn’t have one, so I came up with one. Here it is! 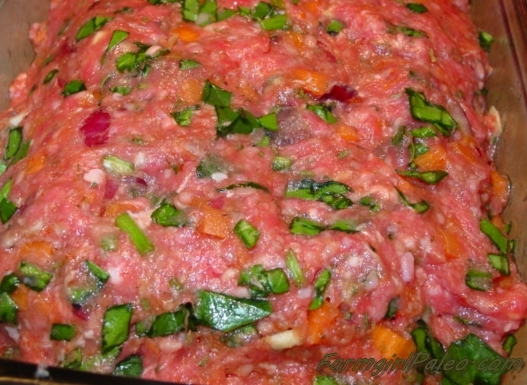 Homemade “Farmhouse Paleo Meatloaf,” all these ingredients can be found on your local farm or homestead. Place meat mixture in a loaf pan or, my personal favorite, a 10-inch iron skillet. Bake at 350 degrees F for 60 to 80 minutes (depending on your oven and the pan you use). I use a meat thermometer to be sure it reaches 170 degrees internal temperature.